Calling all parents of super hero-loving boys! 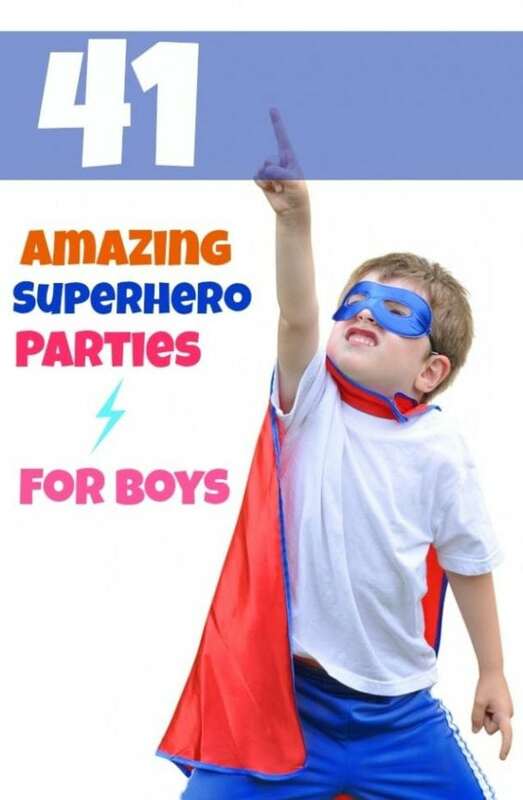 Come join this boy’s thrilling, superhero birthday party adventure by party-planning super mom, Keren of Keren Precel Events. Enzo’s 4th birthday is full of superhero birthday party ideas any boy would be lucky to have. Put your x-ray vision into practice by looking for exciting details like hero capes and real life superhero training and wonderful decorations. Plus, you won’t want to miss the 3-tier super cake or decorated cupcakes on the dessert table. Kudos to Daniel Precel for the photography. Your hero-loving son will flip over this Boy’s Superhero Themed 5th Birthday Party. Save the day at your own hero party, with ideas from this Super Hero Party Dessert Table! I can’t think of too many things that generate more excitement at the start of a party than welcoming guests with hero capes representing many famed superheroes. Dressing the part is a great way to kick off a party. Capes were neatly displayed for guests to choose from and hung under an adorable comic book inspired sign encouraging each child to get suited up in hero gear. Costumes were just the beginning of the fun to come. Once they were officially outfitted, the little heroes and heroines were invited to participate in a crash, boom and wow course on how to be a real life superhero. Isn’t super hero training such a perfect choice for a superhero birthday party? Guests summoned their secret powers to slide, crawl, fly, jump, sing and fight off evil. Thankfully, “evil” came in the form of a stuffed monster for this showdown. Keren had arranged for some pretty super “friends” to come help with the training and celebration: Iron Man, The Incredible Hulk and Captain Marvel! I bet guests loved posing in front of the oversized superhero themed backdrop with these awesome friends. The event space was so fun with classic comic book hero prints displayed all around the room. Super heroes in all sizes tend to come with super appetites. After expending so much energy training and fighting off evil, they were ready to power up on the scrumptious all-American feast Keren had arranged for them. The spread looked amazing and featured individually wrapped superhero sliders (Dishful Catering) suited up in printable emblems, fries served in custom printed cones and even individual portions of mac and cheese. I love how each serving had a coordinating superhero logo on top; I bet guests loved looking for the logo of their favorite hero. Other super eats by Alex Nirenberg included color coordinating chevron boxes filled with popcorn, mini Greek salads portioned in individual cups plus additional veggies and salads. Don’t miss the cute labels such as “broccoli that will make you strong”. And did you spy the condiment bottles, all decked out in pop art inspired labels? Mayo, mustard and ketchup have never looked so awesome! Of course, the cake stole the show, standing 3-tiers tall with fondant detailing inspired by Batman, Captain America and Spiderman. Keren’s Party Cakes did such a fabulous job on both the cake and cupcakes! I loved the use of black containers, dressed up with window cutouts to look like a city skyline of buildings. They added a perfect “super hero” touch. Many popular hero figurines stood victoriously on top of the buildings protecting the food below. Keren packed a punch with an awesome beverage display too. Mini water bottles were embellished with hero inspired beverage wraps. A beverage jar was filled with another thirst quenching option. The tables were set with custom wrapped utensils, custom designed super hero placemats and even juice boxes accented with custom wraps. Super set up for super heroes. Wondering what kind of super favors were sent home with guests? In addition to their costumes, pop art inspired superhero bags were displayed and ready to fly out of there with excited guests. There were superhero tattoos/stickers and masks too. How fun to carry the thrill of the party home with them to continue their super adventures another day! Keren’s work always impresses, and this party is another example of her super party planning powers. You may want to check out some of her other parties we’ve featured here and here.